Thank you to Steve Uzupis ’77 for participating in this Q&A. Why did you join Kappa Sig as an undergraduate? The camaraderie of the house. 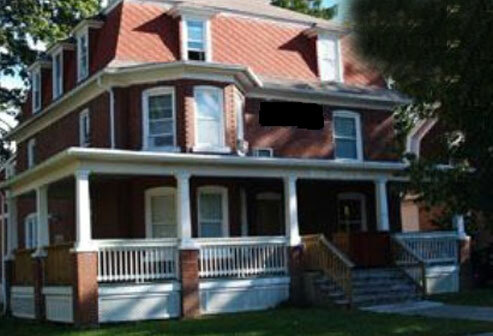 What is the funniest memory from your Kappa Sig days? I've thought about this question a lot. Honestly, 31 years later, I can't say any one event qualifies as the funniest. There were so many, as I think most brothers probably say. They are great memories and if I had to do college all over again, it was one part of the college experience I wouldn't change. As for who were the funniest brothers, Moose, Swerbo and Squirrel come to mind quickly. How do you stay connected with your brothers as an alumnus? For 10 years, I had season tickets in the row behind Ed Gorkes ‘79 so I saw many brothers as I went back for football games. I just gave the tickets up as I got tired of the cost. I go back for a game or two a season now. I also stay in touch on email with a few of the brothers and have skied with Mark Breedlove ‘78 and Ed Gorkes in Jackson Hole. Finally, I am on the alumni board so obviously stay in touch with fellow board members. What do you think about the Bill O’Brien hire? I think he acquitted himself well in his press conference. He is taking the position at a very difficult time and we need to support him and give him a chance to succeed. I am happy to hear him say he is going to continue with the same foundation that the program was built upon. I look forward to seeing how he performs. What about your membership in Kappa Sig makes you the most proud? We had 40 plus brothers living in the house during my years there. Overall, I think we did a very good job of coming together and making it work. We had a few good leaders that kept us on track, not an easy thing to do. As anyone who has been there can attest, having that many individuals with different backgrounds and different attitudes coming together in any type of organization work all together for a common goal does not happen automatically. But again, I think we did a pretty good job of it. How would your life be different today if you had never joined Kappa Sig? Living in the house helped me mature and gain confidence in myself, much more so than if I hadn't ever joined Kappa Sig. If you could go back and relive one moment from your Kappa Sig years, what would it be and why? Oh I'm thinking of the luau my junior year, great party. Where has life taken you since graduation? Shortly after graduation I married, started a family and moved across the country. I moved to Williamsport, Pa. in 1987 and worked as an executive for a privately held company. I divorced in 1994. In 2007 I got engaged in Uzupis, Lithuania to a wonderful lady from California. We married later that year and I retired in 2008. I still live in the Williamsport area on 116 acres with a great view. I have a son who is a research chemist in Edison, NJ and a daughter who is an elementary school teacher in North Chevy Chase, MD and a stepson in Hughesville High School. Who do you stay connected with in your alumni years? Ed Gorkes, Mark Breedlove and Steve Heimer ‘76. The last couple of homecomings I’ve connected with Phil Strachan ‘77, Alex Dezubay ‘78, Bruce Brackbill ‘78 and Tom Nyquist ‘77 and although not so much recently Jerry Maida ‘79 and Bill Demartino. Why would you encourage other brothers to engage in Kappa Sig in their alumni years? I feel the fraternity experience rounds out your education in a way you can't learn in a classroom while at the same time having a lot of fun. It also gives you a bond with brothers that share the same experience and adds to the bond you get from the university itself. Are there any brothers you've lost touch with whom you'd like to reconnect? I’d like to reconnect with all of the members of my pledge class that aren’t mentioned above.